For most newly inducted students at the United States Naval Academy, the grueling military training/indoctrination program known as Plebe Summer presents the most difficult challenge they’ve ever faced. Future midshipman Mason Wells has endured far worse. Recognize his name? 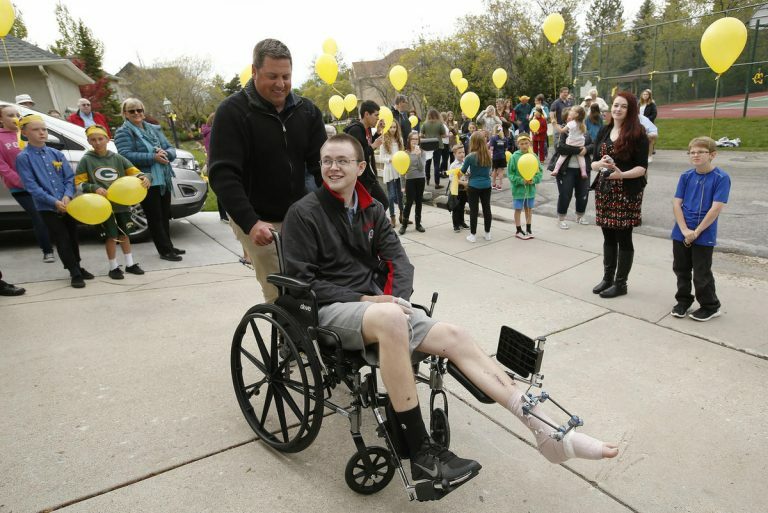 Wells was one of the four Mormon missionaries injured in the March 22, 2016, Brussels airport terrorist attack. The young elder suffered serious injuries in the explosion. He spent two months in the hospital, undergoing six surgeries and several other procedures. But despite the trauma of the bombing and his long and painful recovery, Wells never swayed from a goal he had worked toward for years: to attend the historic Naval Academy. Wells comes from a military family. Both his grandfather and his great-grandfather were high-ranking Marine Corps officers. “Ever since I was in junior high, I’ve known exactly what I wanted to do,” he said in regards to his own military ambitions.